Home » Bali Property Tips » What is Required When a Foreigner Buys Property in the Name of Their Local Husband/Wife in Indonesia? The agrarian regulations in Indonesia does not permit foreign nationals (WNA) to own Hak Milik (freehold) land in Indonesia. In fact, Indonesian citizens (WNI) who have mixed marriages with foreigner nationals cannot have Hak Milik (Freehold) ownership rights on the land, because the land can be mixed and become part of a joint marriage property. In a mixed marriage an Indonesian citizen is married to a foreign national, and this in terms of land ownership, especially for Indonesian citizens, can result in land belonging to Indonesian citizens becoming mixed into assets belonging to foreigners, (known as joint assets). Therefore, an Indonesian citizen cannot own Hak Milik (freehold) land after marrying a foreign national. In joint assets, property obtained by husband and wife during marriage are not controlled by each husband and wife, but are in joint ownership. Thus, the land ownership rights owned by the Indonesian citizen will become part of the joint property assets that are also owned by the foreign citizen. According to Law No. 1 of 1974 concerning Marriage (Marriage Law), in a mixed marriage, whether the marriage is conducted in Indonesia or outside Indonesia. In terms of land ownership, especially for Indonesian citizens, mixed marriages can result in an Indonesian citizen losing his Hak Milik (freehold) land. In accordance with the agrarian regulations, an Indonesian citizen who owns land with Hak Milik ownership rights and is married to a foreign national must release the land. The release can be done by, for example, selling or granting it. The release must be made within one year of the Indonesian citizen obtaining the land, or since the Indonesian citizen has been married to the foreigner. If the time passes and the land ownership rights are not released, then the land rights will be removed legally and the land will fall into the hands of the state. The need for the release of land rights occurred because in the marriage between Indonesian citizens and foreigners, there was a mixture of assets. Hak Milik (freehold) property owned by Indonesian citizens are mixed with the foreigners’ assets as “joint property”. When a foreigner marries a local in the archipelago, they’ll need to make sure a prenuptial agreement is in place before the official marriage proceedings. The reason for this is that in the eyes of the law, couples without the agreement are subject to the same rights in terms of asset ownership. Foreigners are not allowed to own land in Indonesia, and if you don’t have a division of assets in the form of a prenuptial agreement, then your local spouse won’t be able to purchase property. 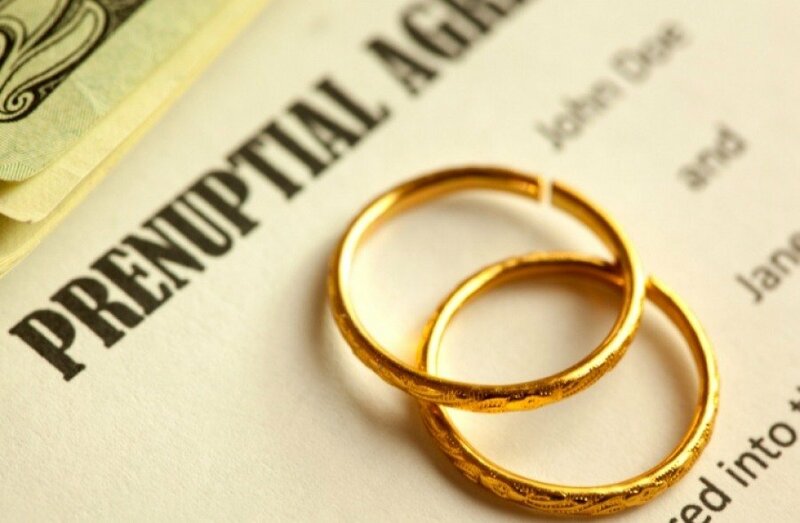 Today – with the new rule passed – couples in this kind of tough situation can now opt for a postnuptial agreement. For mixed marriages, postnuptial agreements (or post-marital agreements) are often used for couples who realize that they do want to have a financial plan after all. Sometimes, this is the result of the financial winds changing for the couple. One good example is if they come into some sort of inheritance and suddenly have assets that they didn’t have before. Another scenario might be one of the spouses suddenly changing careers and making a lot more money now. If you and your Indonesian spouse are living abroad or planning to get married outside the country, and you’re unable to fly back just to sign a prenuptial agreement, then there are a few different points to consider. First, your prenup must be governed under the laws of Indonesia. Second, you can actually authorize your partner with a special power of attorney to sign on your behalf. This means that your spouse will sign twice, once for themselves and once for you. Third, if you do decide to go the route of giving your partner this special power of attorney, you will need to make sure that it gets legalized by your local Indonesian Embassy or Consulate. Prenups and postnups need to be kept up-to-date. When your lawyer drafts the agreement, it should be designed to take into account the passage of time and changes in status. This includes, but is not limited to, the birth of children and becoming disabled. It is recommended to periodically review your prenup or postnup with your lawyer, every few years. In the end, the simple advice is: Yes, you absolutely need a prenup or postnup if you’re marrying a local and planning to purchase a property. The murkiness comes in, however, in the details of creating the document. The best course of action is to lawyer up before you even think about booking the wedding caterer.